The blog's hit counter climbed past the 8 million mark Friday evening. Thank you for visiting and I hope you will keep coming back. You wouldn't be a Red Sox fan would you? And that would be Yaz there I believe :). 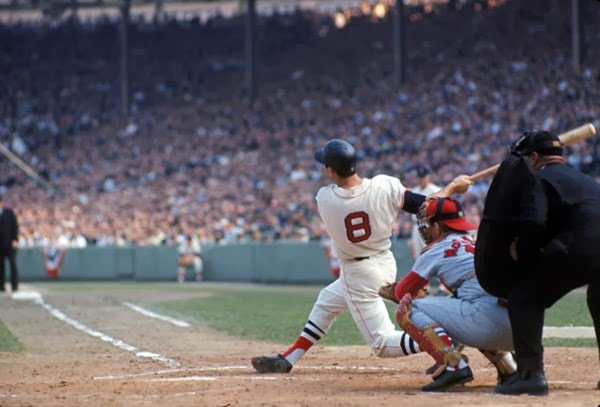 Yes, I have been a Red Sox fan since 1958 and yes, that is Yaz at bat in the 1967 World Series at Fenway Park. By the way, that is Tim McCarver doing the catching. Stana, I probably saw my first game in 1959 and still remember seeing Ted Williams put one over the center field wall in 1960. Marian, yes, we all have our times and the Red Sox have had a better last decade than the NYY. Of course, during the dry years, we did have the Celtics and Bruins. Congratulations! this is a reflection of your dedication and commitment, as well as a reflection of the high quality, informative and entertaining nature of Femulate. Lets face it not many of us manage to introduce a new word into the language. You're welcome. You have no idea how hard it is to visit your site 5000 times each day to help push your number up. ;-) Thank you for keeping it fresh and engaging, sharing yourself as an inspiring role model, bringing in the occasional guest hostess, and mainly for having one of the best blogs on the net. Now, what on earth has you up at this time of day? We all need our beauty sleep. Congratulations. This just solidifies the old adage, "If you post it, they will come." CONGRATULATIONS! I LOVE your blog. It is the ONLY blog I visit every day. Wow! Eight million!! Count me in there! 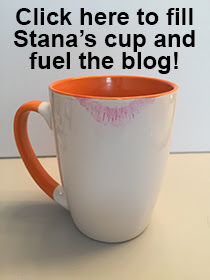 You keep on doing what you're doing, Stana! Femulate is my "anchor" blog. Thank you Stana for being a beacon for many.